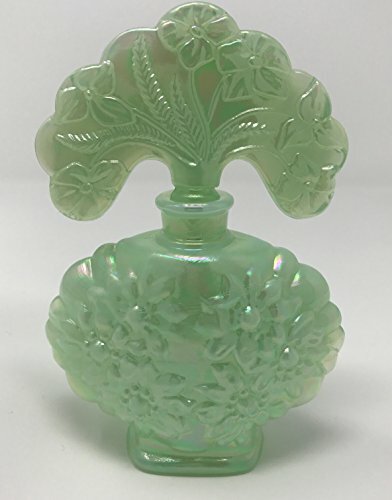 Sea Green Satin is a delicate glass color first produced in China during the 16th Century in attempts to imitate celadon porcelain and semi-precious stones. It is interesting that during the current century this color has been popular during times of prosperity - notably the 1920's and early '50's. This Perfume bottle is pressed in a floral design. 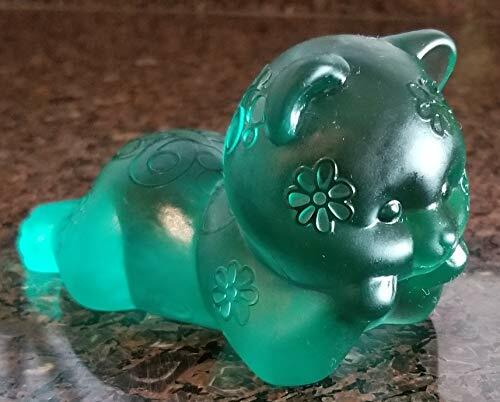 Fenton Green Satin Sand Carved Solid Glass Daydreaming Bear. This Unique Bear was Sand Carved outside the Fenton Factory by Phil Rosso. The Sand Carvings have a Shiny Glass Finish and the rest of the Bear has a Satin or Frosted Finish. It measures approximately 3 3/4" in length. What an Adorable Bear! No Chips or Cracks.